Here’s a fun little exercise to help build your free-motion stitching skills. 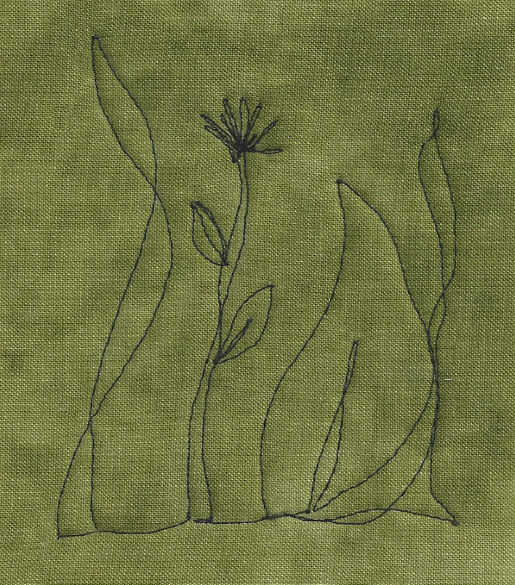 Using the BERNINA Stitch Regulator makes it easy to get a consistent stitch length as you move the fabric to form leaves and plants sketched in thread. Using a pen and paper, draw the garden in one continuous line starting at the lower left edge and ending at the lower right corner. 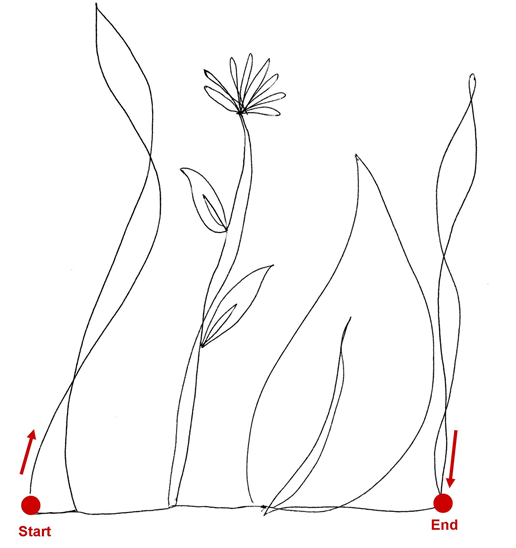 Re-trace lines when needed and move along the lower edge to travel from one plant to the next. Practice this several times in preparation for the stitching. Attach the BERNINA Stitch Regulator to the machine; lower the feed dog. Thread the machine with 50 weight cotton thread in the needle and the bobbin. Make a quilt sandwich of batting between two pieces of fabric. Place the fabric under the needle and pull the bobbin thread up to the top of the work. Starting at the lower left edge, take a few tiny stitches to lock the stitches. Sketch the garden in one continuous line just as you drew it on paper. Read more about the BERNINA Stitch Regulator. 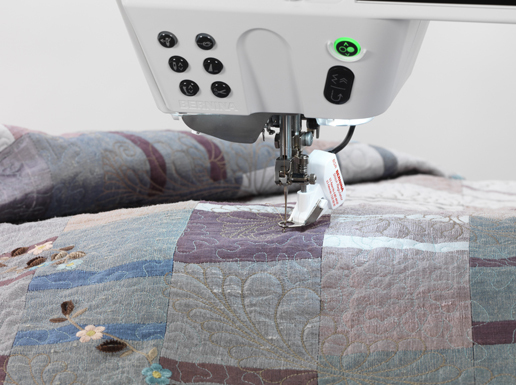 Previous Previous post: Learning Free Motion Quilting with BERNINA!